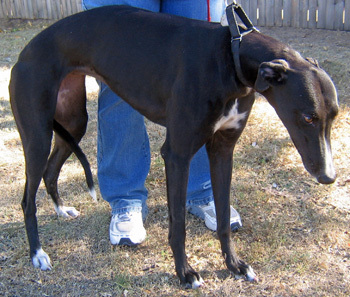 Della is an almost 1½-year-old black female born May 1, 2009. Her sire is Flying Penske, and her dam is the Irish-bred Schofield Beauty, making her full sibling to Arrow. 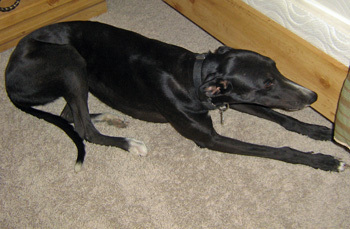 Della, like her brother, is not individually registered with the National Greyhound Association. Della arrived as a stray in Amarillo. Della is cat trainable, and has yet to be tested with small animals.